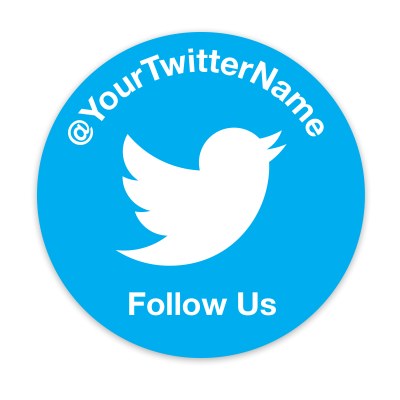 These custom Twitter stickers will be a great addition to your next promotional campaign. Use them to generate followers and to gain a strong presence for your business Twitter account. Display your Twitter handle everywhere your stickers go.